Try SaplingPlus at no cost to students through Spring 2018! 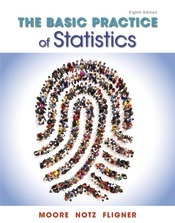 SaplingPlus for The Basic Practice of Statistics 8e provides students with a learning experience replete with text-specific resources and questions and powerful homework that teaches through meaningful hints, targeted feedback, and detailed solutions. - StatClips: Whiteboard tutorials that combine dynamic animation, data sets, and interesting scenarios to help students understand the concepts in an introductory statistics course. - Statistical Applets: Students get hands-on opportunities to familiarize themselves with important statistical concepts and procedures, in an interactive setting that allows them to manipulate variables and see the results graphically.